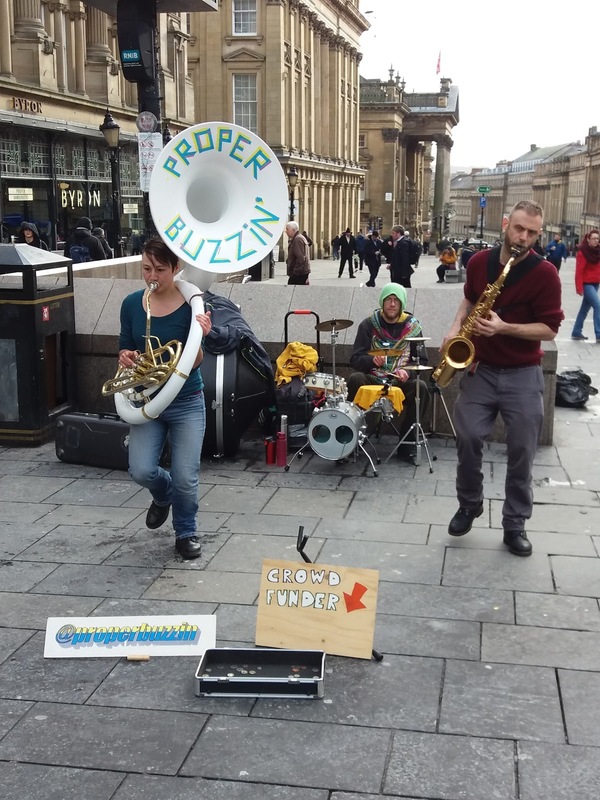 Today (Wednesday) Katy Trigger and the boys were proper buzzin' as they pumped up the volume during a crowdfunding session ahead of their support slot on the Broken Brass Ensemble's album launch gig at Cobalt Studios. 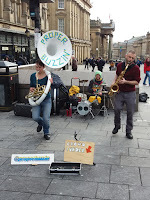 Proper Buzzin' entertained Newcastle city centre's lunchtime shoppers with a street-funk treatment of Donna Summer's I Feel Love and other dance floor fillers. Catch the band this Sunday (Feb 10) at Cobalt Studios on Boyd Street down in the Ouseburn Delta. See BSH's right-hand gig list column for details.